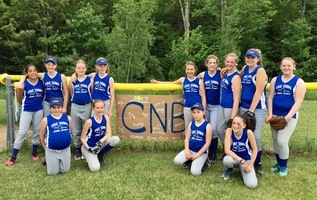 Description: Five Town Softball is available to girls ages 7-12, in Majors and Minors groups, based on skill level and readiness for competition. 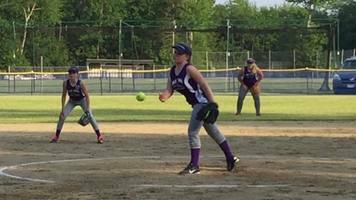 Major League Softball (KIDS PITCH) is for girls ages 9-12. Players are selected for Majors teams after a successful Tryout. Tryouts will take place on Thursday, April 4, from 5:15 to 6:00 p.m. at the Camden-Rockport Elementary School gym. The Deadline to register for Tryouts is March 21st. Schedules of games and practices will be provided by Team Managers and posted on our website. Players selected to a Major League Team after tryouts will receive a call that evening from their Team Manager. Those players who are not selected to a Major League Team after tryouts will be called and placed on a Minor Softball Team. Players will receive a visor, belt, and team-colored socks. A uniform jersey will be provided for in-season use. 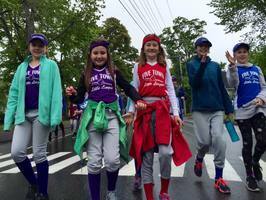 Minor League Softball (COACH PITCH) is for girls ages 7-10. This is a developmental league designed to introduce younger, less advanced players to the fundamentals of the game, understand good sportsmanship, and have fun. Games will be on Mondays, Wednesdays, and Saturdays. Players will receive a visor, belt, and team-colored socks. A uniform jersey will be provided for in-season use. All players will be notified of Team placement by April 15th. 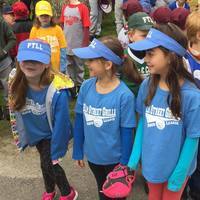 Five Town Little League is a charitable organization dedicated to Little League Softball in our community. As such, we endeavor to assure that no child is excluded from our recreational programs due to a family's financial limitations. Scholarships and partial scholarships for our programs are available. Please explain your situation in the space provided. The program commissioner will contact you to discuss that situation and craft a solution. There is no other paperwork required.